To celebrate National Sewing Month and Waverly’s 90th Anniversary Jo-Ann Fabric and Crafts and Waverly have teamed of for a cool Waverize It! Challenge. The Waverize It! Facebook contest us open to all consumers. From September 1– 22 enter a creation of your own for a chance to win $1000 in Waverly fabric and a $250 JoAnn gift Card. Awesome right? To learn more and to enter click here. To kick things off and help get the creative juices flowing a bunch of us bloggers were sent some gorgeous Waverly fabric from their Jo-Ann line and challenged to come up with something fun and Waverize It! 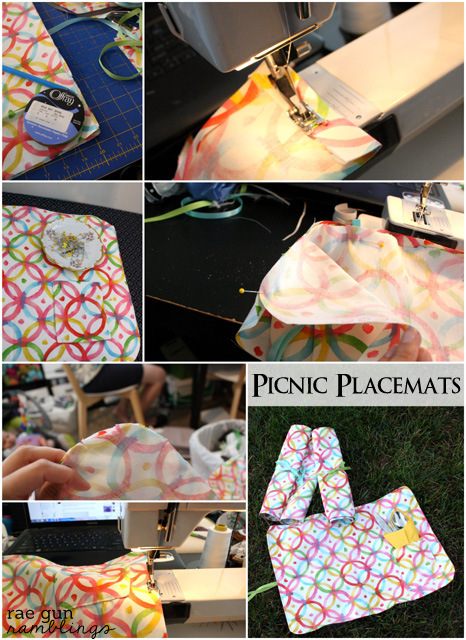 So today I’m sharing my picnic placemat tutorial. 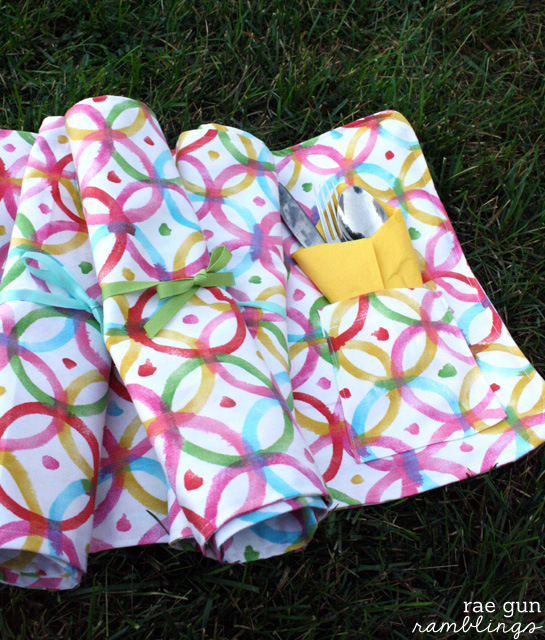 I thought the fabric was just so happy and Summery a project to do the fabric justice. 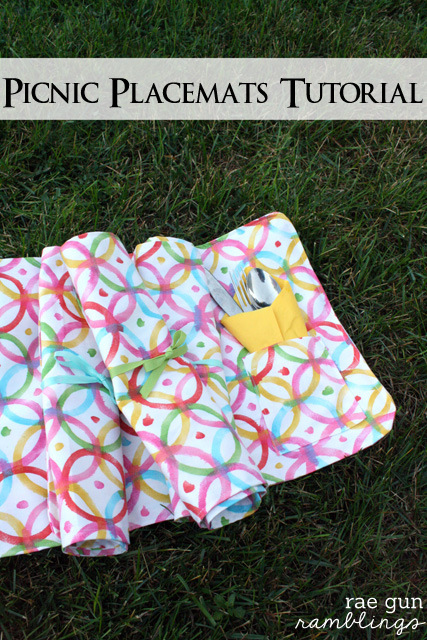 Since I don’t think there are many things more Summerific than a picnic with your favorite people and some delicious food I decided to make some Picnic Placemats. Start by rounding the corners of the placemat. I do this by tracing something circle shaped (like a cup or ribbon package) with a fabric marker. Sew across the 1 inch side. Pin each pocket in place on the front side of the placemats. Fold the ribbon in half and place the folded edge on the opposite side of the pocket having the tails face inward and a small bit of the folded edge sticking over the edge. Put a back piece of the pocket right side down so the two pieces should be right sides together and the ribbon is sandwiched between the two pieces of fabric. Sew around the edges leaving a 5/8 inch seam allowance and a small opening to flip the placemats. Flip the placemat right side out. I like to use a loop turner for this task. Iron tucking the hole in and then top stitch around closing up the opening as you go. I’d love to know if you give my tutorial and try. 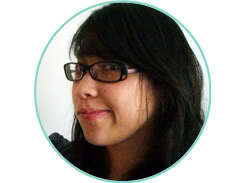 And don’t forget to swing by J0-Ann and check out the beautiful Waverly line and enter the fun Waverize It! contest. These little roll up placemats are adorable! Such a great idea. This is the cutest idea! And that fabric is so fun. I think I need one that is bib, placemat and blanket all in one….hm, think that’s possible?! These are so darling! I absolutely love them and the fabric choice is awesome! I love it! These turned out great, I love that you can roll them up and take them with you. My sewing skills are limited but I might be able to master this! What a great idea and super cute choice of fabric! 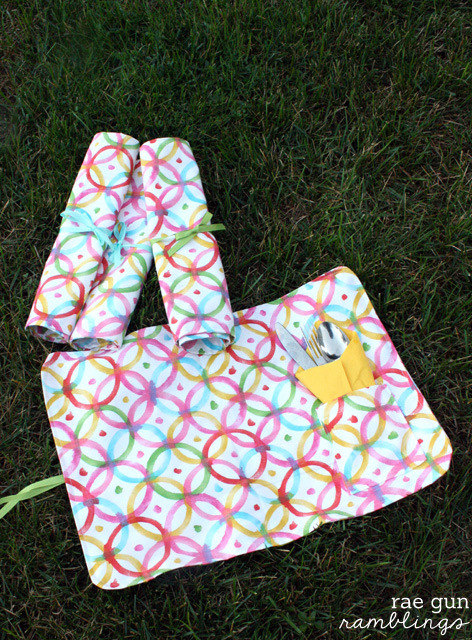 These are so fun and the perfect, adorable excuse to go on a picnic! These are perfect! So cute. And I love your fabric choice. These are awesome and I’m loving the design of the fabric. Have a good one! I love that fabric and what a CUTE IDEA! It’s still so hot here and this would be fun to make for a picnic at the beach. These are so cue Marissa!! I think they are perfect for summer and I love that you can roll them up – makes for super easy transportation! Darling! I love the fabric you got and the placemats were the perfect idea! So cute! They would definitely make a picnic feel extra special! These are so cute. What a great idea! The fabric is really fun, too! These are so cute Marissa! Love the fabric you used. I love these! I am definitely adding them to my to do list!